WE R5C Honey Badger Sportline is a very compact and light version of the M4 Raptor AEG Series. Same as the bigger heavier brother this version has a lighter polymer body which makes it very light and skirmishable for the young generation of airsofters! 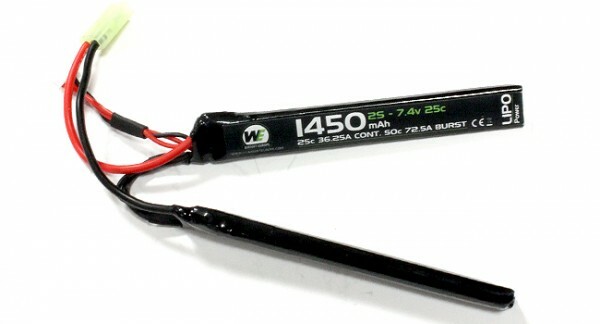 Comes with silencer type outer barrel which is also the battery compartment, store up to 7.4V split type Lipo Battery (small plug). Ready to go for 300 FPS (0.2g BB).